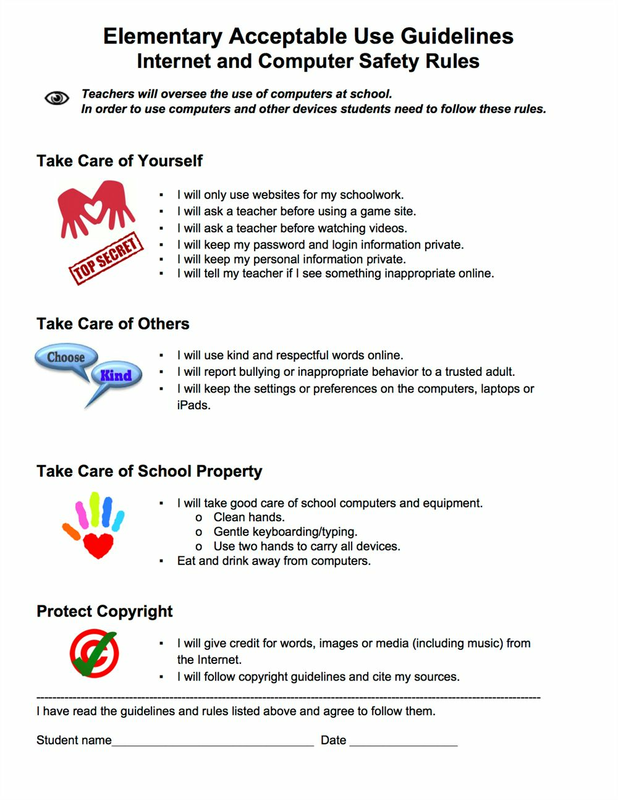 An acceptable use policy should include rules that hold the students accountable for their actions using technology, to promote netiquette and online safety. Students: After reading the guidelines, answer the question below and sign your first and last name. parents: After reading the guidelines, answer the question below and sign your first and last name.